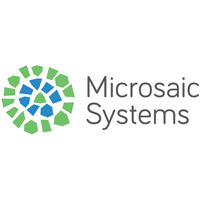 The trading price for Microsaic Systems PLC with company EPIC: LON:MSYS has increased 12.24% or 0.21 points in today’s trading session so far. Investors are a positive bunch throughout the session. The high for the period has reached 1.88 dropping as low as 1.73. The amount of shares exchanged has so far reached 370,000 whilst the daily average number of shares exchanged is just 840,546. The 52 week high is 4.64 equating to 2.96 points difference from the previous close and the 52 week low at 0.9 is a variance of 0.78 points. The current market cap is £10.26m at the time of this report. All share prices mentioned for this stock are traded in GBX. Mcap is measured in GBP. This article was written with the last trade for Microsaic Systems PLC being recorded at Tuesday, September 11, 2018 at 1:16:10 PM GMT with the stock price trading at 1.88 GBX. The stock price for Ilika plc ticker lookup code: LON:IKA has moved up 6.06% or 1 points during the course of today’s session so far. Traders have stayed positive during the trading session. The periods high has already touched 17.5 and a low of 16.75. The total volume traded so far comes to 69,066 with the average number of shares traded daily being 65,557. The 52 week high is 31.7 around 15.2 points difference from the previous close and the 52 week low at 16 a difference of some 0.5 points. Market capitalisation is now £15.72m at the time of this report. The currency for this stock is GBX. Market cap is measured in GBP. This article was written with the last trade for Ilika plc being recorded at Tuesday, September 11, 2018 at 11:50:46 AM GMT with the stock price trading at 17.5 GBX. Shares in Ashtead Group plc found using EPIC: LON:AHT has gained 4.3% or 98 points during the course of today’s session so far. Market buyers are a positive bunch during the trading session. Range high for the period has seen 2425 dropping as low as 2330. The amount of shares exchanged has so far reached 1,732,027 with the daily average number around 1,682,068. A 52 week high for the stock is 2447 about 167 points in difference to the previous days close of business and a 52 week low sitting at 1671 is a variance of 609 points. The market cap now stands at £10,959.51m at the time of this report. The share price is in GBX. Mcap is measured in GBP. 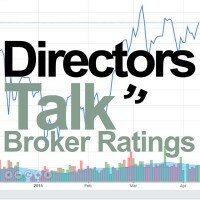 This article was written with the last trade for Ashtead Group plc being recorded at Tuesday, September 11, 2018 at 1:46:21 PM GMT with the stock price trading at 2378 GBX. Shares of Shire PLC with company EPIC: LON:SHP has stepped up 1.74% or 74 points during today’s session so far. Investors have stayed positive throughout the trading session. The periods high has already touched 4339 while the low for the session was 4300. The volume total for shares traded up to this point was 693,663 with the average number of shares traded daily being 2,400,171. A 52 week high for the stock is 4576 which is 311 points in difference to the previous days close of business and a 52 week low sitting at 2940.5 a difference of some 1324.5 points. The market capitalisation is now £38,722.51m at the time of this report. The share price is in GBX. Mcap is measured in GBP. This article was written with the last trade for Shire PLC being recorded at Tuesday, September 11, 2018 at 1:50:02 PM GMT with the stock price trading at 4339 GBX. Click AHT IKA MSYS SHP for the full archive.